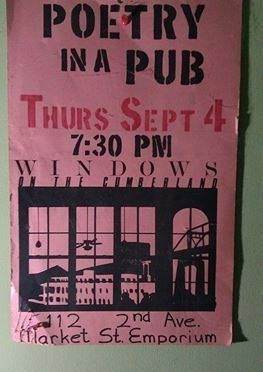 From 1983 – 1993, on the first Thursday of each month, Charlie Fenton’s eclectic “Windows on the Cumberland” nightspot in the galleria on 2nd Avenue welcomed Nashville area poets to an open mic “Poetry in a Pub” experience. Started by Ruth Hairston and Larry Pacheco, the “Windows Scene” grew stronger and larger by the year, and influenced many area poets. 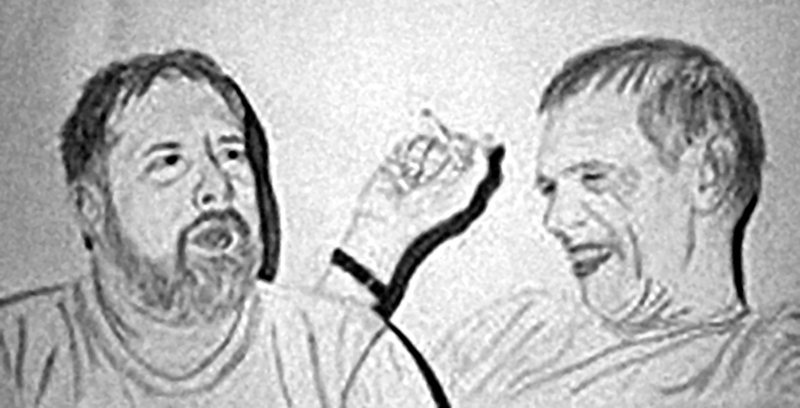 In 1986, D. Phillip Caron and C Ra McGuirt were drafted as co-hosts of the monthly Windows show. They served honorably for 7 years, until gentrification closed the doors of the Windows to poetry in 1993. Now, 22 years later, Caron and Ra will be re-uniting to co-host WINDOWS AT THE BREW: ONE NIGHT ONLY, a celebration of Nashville poetry’s “Golden Decade” at Windows. We’ll be expecting many of the finest veteran voices of the Windows Era, but with no feature this month, there will be plenty of time for everyone to read, just like the good old days. Come lend your best lines to this historical literary event! C Ra McGuirt and D. Phillip Caron, former co-hosts of Poetry in the Pub, reunite to co-host this month’s open mic Windows at the Brew: One Night Only at Portland Brew East on Sat. Mar. 15th.